For a traveler to breeze through any major airport, plenty of stars have to align. Security waits need to be short, terminals easy to navigate, intra-airport transportation abundant, and flights punctual. And while some fastest-airport lists focus on a single element—say, airports with the best on-time departure records—we decided to highlight airports that performed well across categories to deliver fast passage. 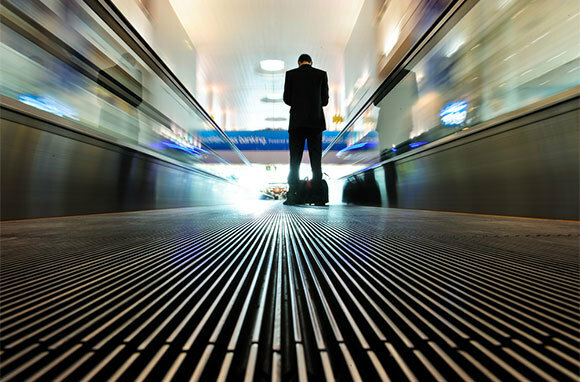 To do that, we’ve compiled data from the Bureau of Transportation Statistics (BTS), averaged real-time crowdsourced security wait times, and compared expedited-screening options and airport layouts to come up with this list of the country’s 10 speediest major airports. You might not think that a busy airport in a city that gets slammed with winter weather would outperform many sunny climes when it comes to on-time departures, but Salt Lake City International Airport manages to do just that. The recipient of a number of awards for excellence in snow and ice removal, the airport ranks first among U.S. airports in both on-time departures and arrivals, even with its busy schedule of about 650 daily flights. 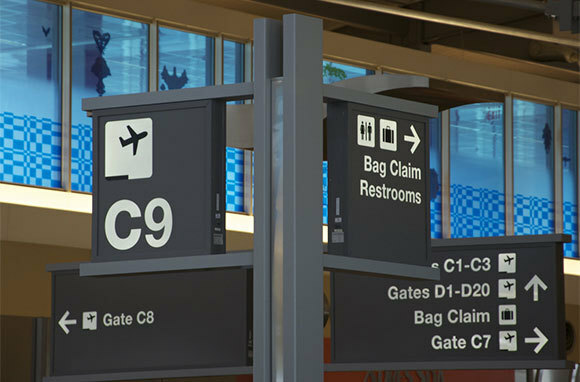 And since the terminals and concourses are connected beyond security, passengers making connections don't have to exit and reenter security screening lines to get to their ongoing gates. 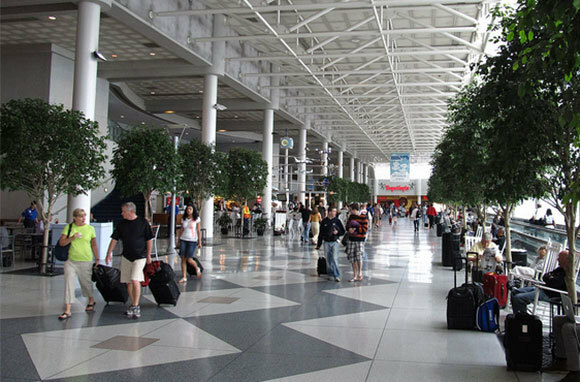 With 41.2 million passengers last year, Charlotte Douglas International Airport is the nation's eighth busiest airport. However, it still manages to maintain a top-five spot among U.S. airports for on-time departures. In a recent Travel Leaders Group survey, it was also ranked the second-best airport in the U.S. for making connections, owing perhaps in part to its layout: a single terminal with multiple concourses. With an average security wait time of about 13.4 minutes and a volunteer program to help passengers in need of assistance find quick answers, the airport offers an overall speedier experience than most its size. 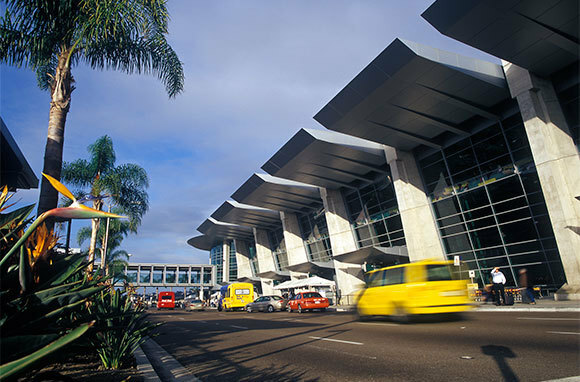 Thanks to San Diego International Airport's central location, the expedited experience starts even before arrival. Just a quick drive from downtown, not only is it a short hop from popular tourist areas, it's actually so close that people can even bicycle or walk to the airport. Once you've arrived, expect fewer long lines and delays than you'll find at other Southern California airports: San Diego ranks in the top 10 for on-time departures. Recent reported wait times on the My TSA app averaged just 6.2 minutes, making this airport one of the best in the bunch. In August, San Diego will wrap up a terminal expansion project that adds 10 new gates, an expanded security checkpoint, more parking, and a new dual-level roadway for better drop-off and pick-up traffic flow, all elements that will further speed passengers on their way. 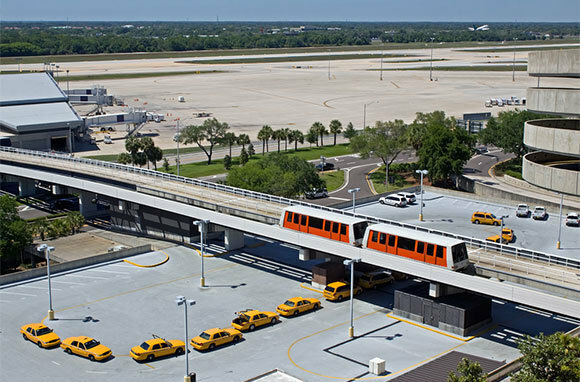 Tampa International Airport welcomes nearly 17 million passengers per year but reliably lands in the top 10 of the BTS' on-time departure performance rankings. And while average recent wait times (about 18 minutes) put Tampa among the slowest on this list, as one of the airports selected to be part of the TSA's new PreCheck program—which routes cleared passengers through faster security lines—it's possible that wait times will drop as the system is implemented and more frequent flyers are channeled out of the main security line. Seattle-Tacoma International Airport doesn't let a little rain slow it down. 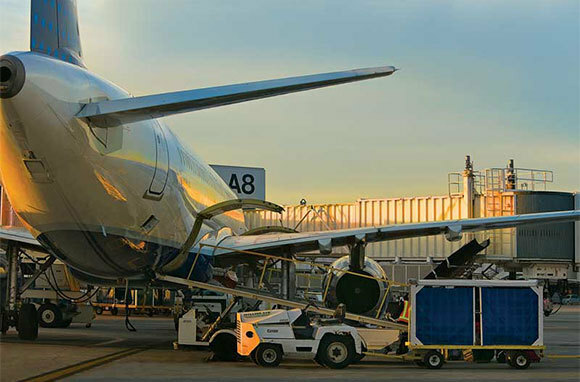 In 2012, the airport served more than 33 million passengers, all while managing to maintain the third-best on-time departure performance among major U.S. airports. Even better, Sea-Tac had the lowest percentage of canceled flights. Security lines are made more manageable by the fact that passengers can access their gates from any checkpoint, boosting alternatives when one security area is particularly slow. And preapproved, low-risk passengers have an even speedier option, since Seattle offers expedited screening through its PreCheck lanes. With 33 million passengers last year, Minneapolis-St. Paul International Airport moves big crowds well. 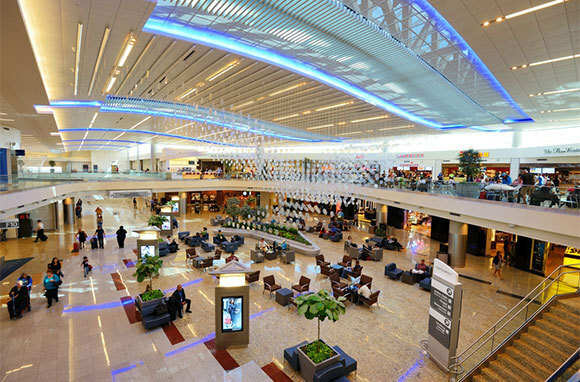 So well, in fact, that last year, Travel + Leisure named the airport the best in America, based in part on minimal flight delays but also on factors including design, amenities, and check-in and security. Minneapolis also gets high marks for on-time departures: It currently ranks fourth among all major U.S. airports for getting flights out on time. And it was voted a top-10 airport for ease of connections in the recent Travel Leaders Group survey. When we averaged 10 recent passenger-reported security times, waits at Minneapolis came in at nearly 17 minutes. But the airport seems to be aiming for shorter waits with a TSA PreCheck line for registered frequent flyers and a new checkpoint that can screen 150 more people per hour than the previous one. 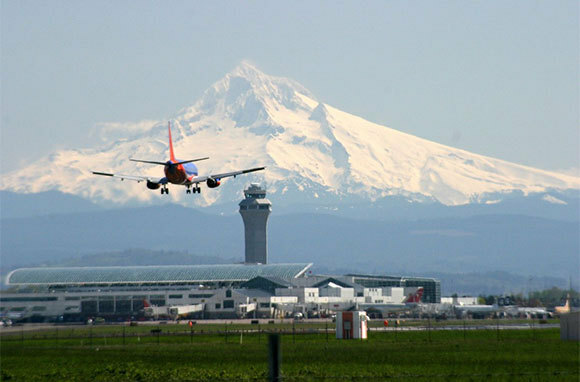 Combine Portland International Airport's easy-to-navigate layout and stellar on-time stats and you'll see how speedy an airport can be. It's a single terminal with multiple concourses connected beyond security, so passengers can choose between two security checkpoints, no matter which gate they're headed to. And it's not just getting to the gate that's fast—PDX currently ranks second in the nation for on-time departures among major airports. 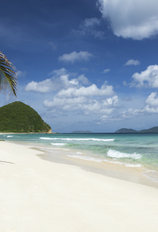 It also has the country's second lowest percentage of canceled flights. Perhaps because it's the world's busiest airport, Hartsfield-Jackson Atlanta International Airport is honed for efficiency—it has to be to handle more than 250,000 passengers per day. And while it isn't a top performer for on-time departures (though its average still puts it a respectable 11th among the nation's major airports), it was named the best for passengers with connecting flights in the recent Travel Leaders Group survey. What's more, in both our real-time passenger-reported security line averages and those tracked on the airport's website, security wait times hovered around a very reasonable 10 minutes. Inter-terminal trams serve concourse stations at 110-second intervals and deliver passengers to any terminal in five minutes or less. And the airport's new 40-gate international terminal reduces the number of arriving flights that have to wait for a gate. 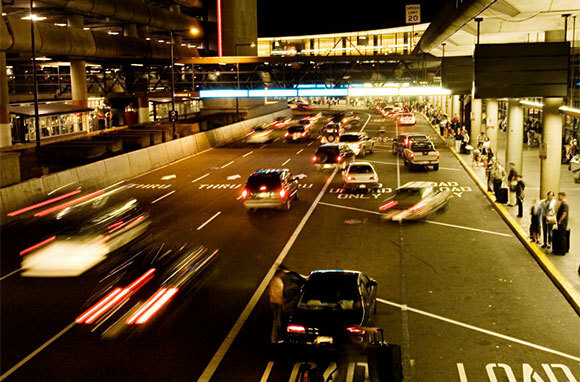 As the home airport for many SmarterTravel editors, Boston Logan International Airport is one we know well. What it lacks in looks it makes up for in speed: As a participant in the TSA PreCheck program, frequent flyers are already finding faster passage through security lines, and when we averaged security line times, we found users reporting waits of just under eight minutes—a very reasonable number, especially compared to other airports. Solid on-time departure statistics (its on-time departure average puts it in the top 15 among U.S. airports) round out the offerings. 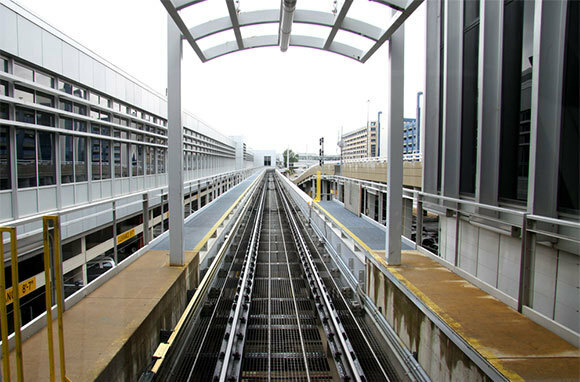 Among the three airports passengers use to fly in and out of Washington, D.C., Reagan National Airport may be your best bet if you want a fast trip. 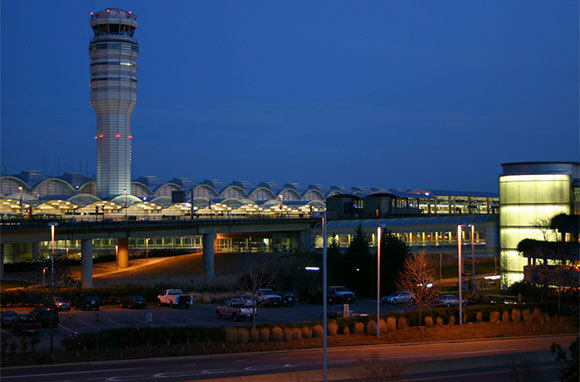 The closest airport to downtown Washington, D.C., it's the most convenient for visitors staying in popular tourist areas. What's more, it beats both Dulles and Baltimore/Washington when it comes to on-time departures. 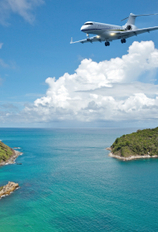 Its primary limiting factor is that its strong focus on domestic carriers and flights means National is an option mostly for passengers coming from other U.S. cities.